When it comes to copying or printing large numbers of documents, most offices – even ones who have high-end copier and printers – are unable to handle the workload. Just as shredding services are often needed to handle large quantities of sensitive documents that need to be destroyed, so too can a wide-ranging copying or printing project push standard copiers and printers to their limit. 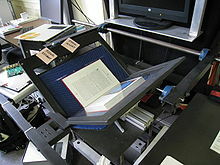 Large runs of copies will overheat even high quality machines, lead to delays from paper jams, and cost hundreds of dollars in ink alone. We have all been there before. You start a major copying project and thirty pages into it, that irritating beep letting you know that there is a paper jam. Now you must look for the jam, open up the copier, and remove the jam. Once you get the machine going again, ten pages into the project you have another jam. The cycle seems to perpetuate itself.One of the aspects of copy machines that is a mainstay in their operation is the fact that they will jam. However, the there are some good practices that you can use in order to minimize these jams. In doing so you will save time, save money, and lower aggravation within the office. We've all been there. An office with an inefficient, outdated filing system that seems to rely more on intuition, guesswork, and voodoo than any sort of recognizable degree of organization. Many times this is the result of too many hands being involved in the process. For example, one individual believes in filing by first name, another by last name, and a third by some kind of phantasmagorical concept whispered to them as they sat in a fairy circle at the witching hour. In today's business world, especially among small business entities, the quest for going paperless is picking up substantial steam. Going to a paperless office is not only good for "going green", but will also help to organize files much better while saving a ton of room in the office itself.Because of this move towards being more paperless, several different document management solutions have gotten to be quite popular. Mobile phones, tablet computers, and apps like Evernote, give a whole new world of being able to capture documents and store them for later use or for filing. If you follow the document scanning news, then you'll notice that there are two particular sectors where document scanning and electronic filing is on the rise: taxes (more and more tax-payers are "e-filing") and the legal system. We've reported on this blog how courts in the U.S. and Canada are switching to e-documents, since the paper-based format of issuing injunctions, petitions, continuances, and a myriad of other court documents has increased exponentially with the rise of arrests and incarcerations. Buy different type of software. All software is genuine and purchased from manufacturer. PDF/OCR Software, Antivirus Software, Encryption Software, Cloud Storage. We are authorize to re-sale thousands of products. Lower prices than manufacturer. Blog category description:in this section you will find different blogs related to what we do!